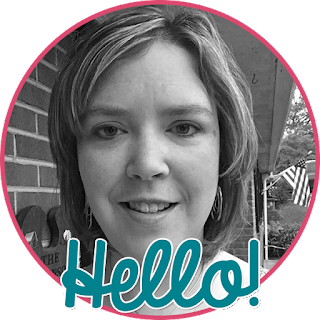 Ideas were rattling around in my head this morning at school! I found this idea on pinterest several weeks ago to help organize all of the activities that I've created to use in my room. I found these little baskets in the dollar section at Target, printed out labels and attached them with word rings to the handles. It makes things SO much easier to grab when I need a specific skill activity. 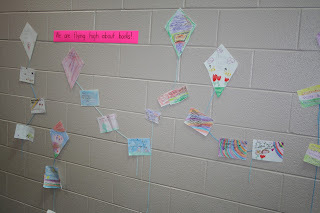 One of my reading groups chose books to read independently and create/complete a book report using the shapes for a kite. They put together their information (title and author together, then in the rectangles they included characters and setting, plot, and their favorite part). 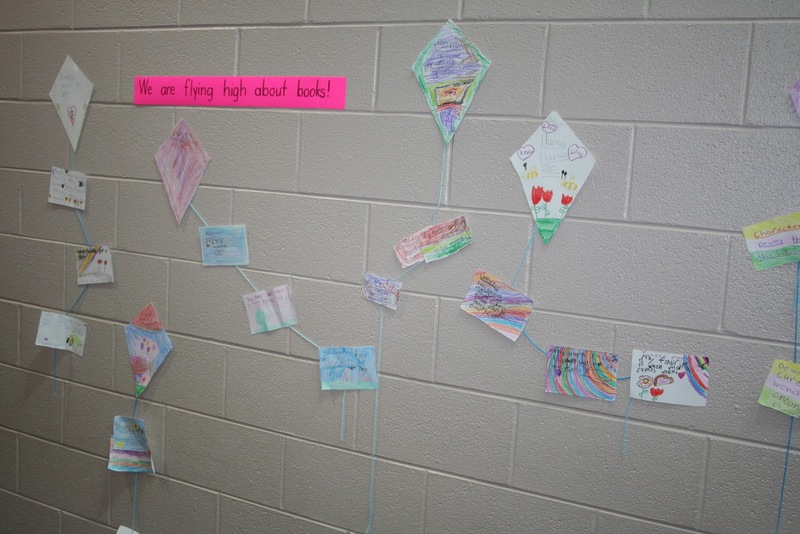 We decorated the hallway with their kites. It was fun to see their creativity come out through this activity.